For Goodness Shakes - SAVE 33% Powders! 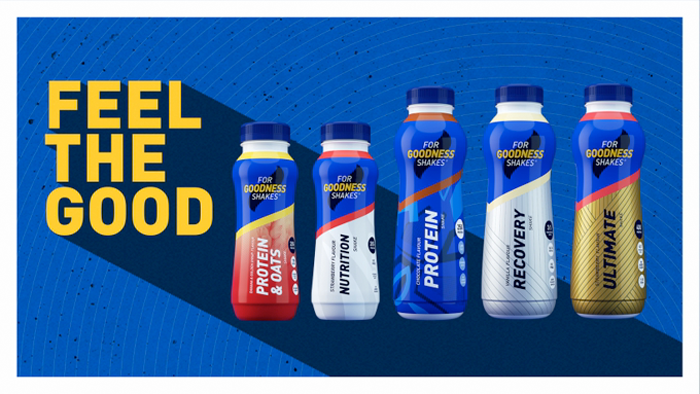 For Goodness Shakes is a cutting edge sports recovery drink, designed by athletes, for athletes. The unique combination of carbohydrates, proteins, vitamins and minerals in every For Goodness Shakes will give your body the post-workout nutrients it needs. Available in a variety of flavours, there’s something to suit everyone’s taste. Training can be tough so ensure you stay on track by giving your body all of the dietary essentials it requires.